Since July 1, 2009, the gambling business in the Russian Federation has ceased to exist. Gambling was permitted only in specially designated four zones located in the Krasnodar Territory (Azov-City), Altai (Siberian coin), Primorsky (Primorye) and in the Kaliningrad region (Yantarnaya). Thus, all the casinos of Moscow, which existed before this time, with the onset of the named date ceased to exist. Of course, on this gambling activity in the capital has not ceased: today in the city you can find places where gambling is offered. However, all these casinos function illegally and, if they are detected by their respective authorities, they will also be eliminated. As for the past, Moscow casinos by June 2009 were dozens. According to some reports, their total number was more than 200 institutions. So, one of the first casinos in Moscow was a gambling establishment called “Kings” (it began operating in 1991). 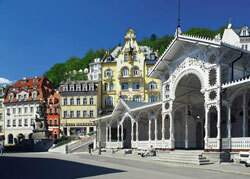 This casino existed for 5 years and was closed due to its incompatibility with the new requirements of the authorities. It was located in the hotel complex “Izmailovo”. 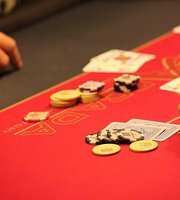 This casino was more focused on VIP-players, since the stakes there were far from low. For its part, the gambling establishment offered a high level of customer security and high-quality service. Great demands were made at the casino both to the customers of the establishment and to the casino personnel: the dress code and face control were observed. The difference between casinos was the fact that the main part of the dealer in a gambling establishment were girls. Another casino in Moscow, which remained in the memory of gamblers, was Royal Casino. It also began to work in 1991, and its location was the building of the Moscow Hippodrome. This gambling establishment impressed not only the interior of the gaming hall, its high vaults and spaciousness in the room, but also the unusual form of clothing of the stickman girls. Instead of blouses and black skirts, they wore dresses with a plunging neckline. This casino also closed due to the tightening of the gambling law and great competition. Rather optimistic, the Golden Oasis casino began its operations. It was located on the street Stavropol d.38 in the shopping and entertainment complex “Namagan”. Opening its doors to visitors in January 2007, this gambling establishment lasted just over a month. 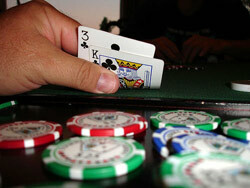 The reason for the closure of the casino was a violation of the requirements of the authorities. It is worth noting the longevity in the gambling industry – casino “Chatillon”. This gambling establishment worked for about 10 years (from 1997 to 2007). And the plans of the owners of this casino in Moscow were to expand, and not to close. But the new legislation violated all these plans, forcing the capital’s most famous casino to stop working. Moscow’s Titanic casino was well known in the past. It was opened in 1999. True, the fame of this casino was associated with the “bad” side of a gambling establishment: cheating, gangster clashes, hooliganism. This casino closed due to the need to build a road junction on Leningradsky Avenue and Begovaya Street. Were in Moscow and quiet gambling establishments, unremarkable for its size, but allowing to fully satisfy the interest in gambling. One of these casinos in the capital was the Ante casino, which operated from 2003 to 2007 (perhaps, if the state had not announced the termination of the gambling business in Russia, this casino would have existed even now). The total number of functioning casinos in Moscow in different years was a different number (approximately 20-40 establishments operated simultaneously). 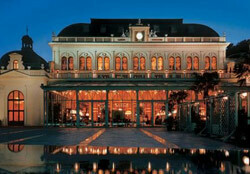 The maximum occurred in 2006: at that time there were about 70 casinos in the capital. 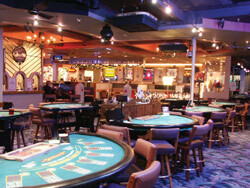 Almost all casinos offered a decent range of games and services and were characterized by a high level of service.